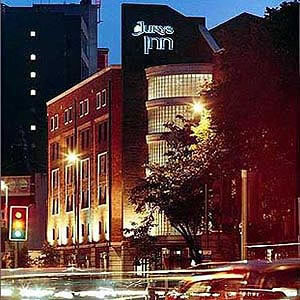 Jurys Inn Belfast is located in the centre of Belfast, adjacent to the Opera House, Belfast City Hall and the city's main commercial district, ideally placed for your conferences, meetings or special events. The Jurys Inn Belfast is just two minutes' walk away from the prime shopping areas of Donegall Place and the Castlecourt Centre, while the city's golden mile, with its range of lively bars and restaurants, is also within walking distance. 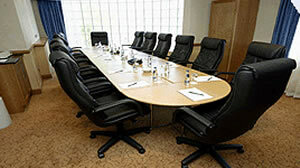 Jurys Doyle hotels offer an extensive range of conference, event and meeting facilities. Whether it’s a board meeting for eight, or a gala banquet. The conference facilities are equipped to an excellent standard. 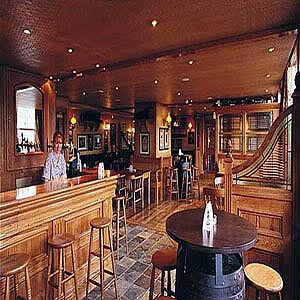 Enjoy the relaxed atmosphere of Arches Restaurant or the more informal setting of the Inn Pub. Modern, spacious and friendly, Arches Restaurant is open to residents and non-residents alike and serves breakfast, lunch and dinner. The Inn Pub offers a delicious range of bar food. 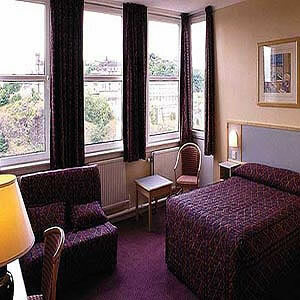 Jurys Inn Belfast provides spacious, comfortable rooms with modern-day conveniences. Our city-centre location and fixed rate room pricing offers outstanding value for money. Catering for groups of up to 20 delegates, Murray Suite is 40 sq meters large and has the following facilities: Analog Modem Line, ISDN Line, Conference Call Facility, Daylight. Catering for groups of up to 20 delegates, Grosvenor Suite is 40 sq meters large and has the following facilities: Analog Modem Line, ISDN Line, Conference Call Facility, Daylight. Catering for groups of up to 20 delegates, Botanic Suite is 40 sq meters large and has the following facilities: Analog Modem Line, ISDN Line, Conference Call Facility, Daylight.